i’m not big on sculpting…when it comes to pottery, i’m definitely a wheel kind of gal. i’ve taken ceramics at arthouse for about a year, and finished my final class a few weeks ago. 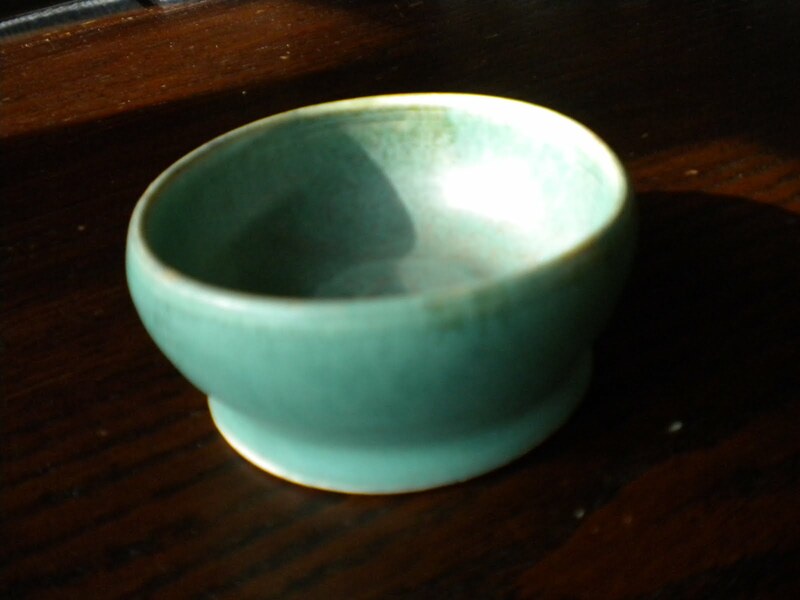 in the last couple classes, you can’t throw anything because of the time it takes for the pot to dry, to trim, to let it dry some more, fire, glaze, and fire again. so, i experimented with the slab roller. this little number is a candle holder, i think? i was just sort of messing around and had the intention originally of making a box for pens or something. once i had three sides on, i thought maybe i could do something else with it. so i left the fourth side open, curled the sides, stamped it, and added some “pillows” – sort of a throne? i don’t have much patience for hand-building at all, but i’m pretty pleased with how it turned out. 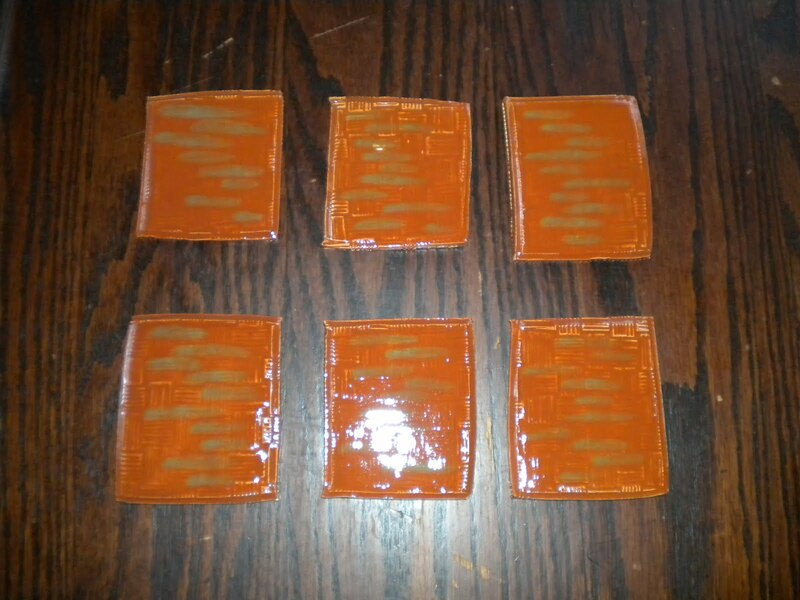 and, a set of coasters. i am going to glue some of those rubbery kitchen counter mat non-stick things to the bottoms so they don’t slide or ruin tables. yay for functional pottery! oh, and just for good measure, a photo of the very first pot i made a year ago at art house; i’ve come so far! 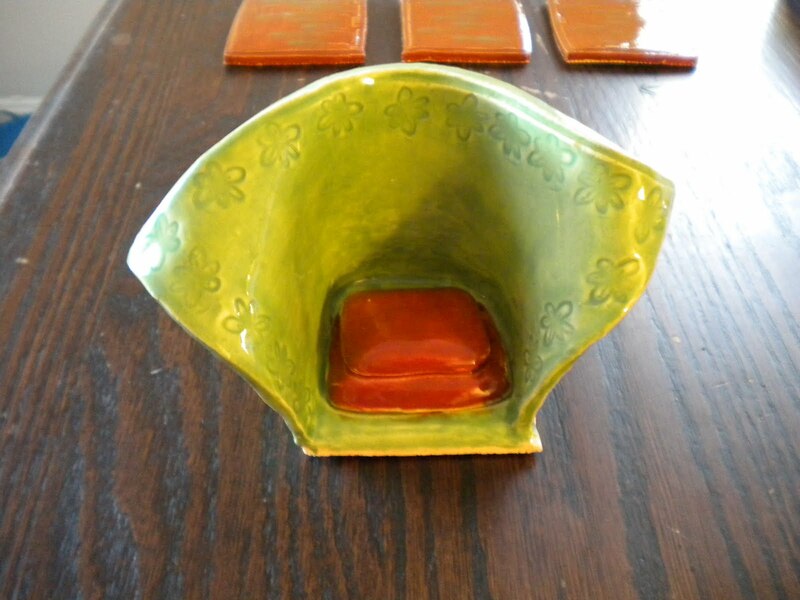 This entry was posted in Pottery and tagged ceramics, coasters, pottery, sculpting, slab roller. Bookmark the permalink.